Morgan County residents, please proceed with caution in the communities of Brush, Snyder, and Hillrose with down power lines. Safety First! 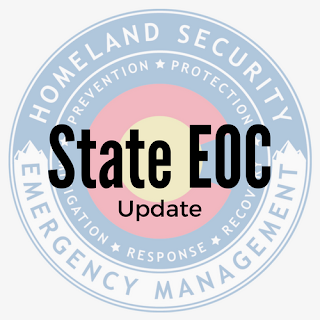 All residents are encouraged to contact the Office of Emergency Management to report any damage caused by the storm of July 29, 2018. Please include name, address, and damage details. Morgan County Government is requesting all damages be reported including those to personal property and business. Red Cross can be reached at 800-824-6615 for assistance 24 hours. Red Cross evacuation center is Brush High School 400 West Street. Red Cross for donations www.redcross.org/donate. Brush residents and businesses are being requested to limit and conserve water usage. Stay away from any power lines that are down. County Road W.5 between 32 and 33. Landfill is open with normal business hours. Immediately report and contact your insurance agent with any damages before removal to the landfill. REA customers may contact 970-867-5688 to report power outages or down lines/poles. For residents offering to help the community, contact 970-542-3533 or 970-543-3534 with name, phone number and tools available.